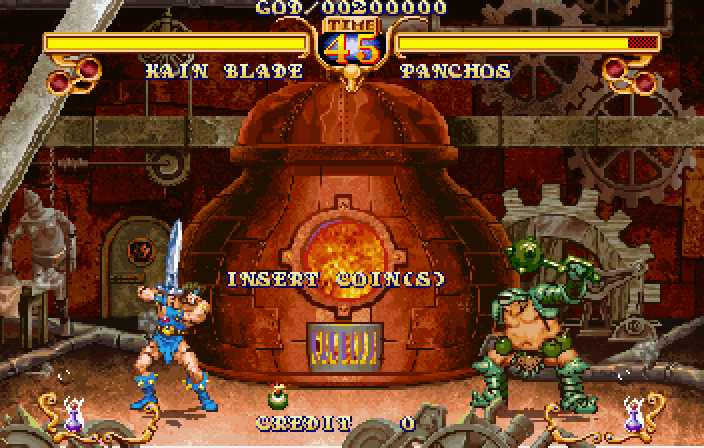 1994 was a big year for fighters, and for arcades in general. 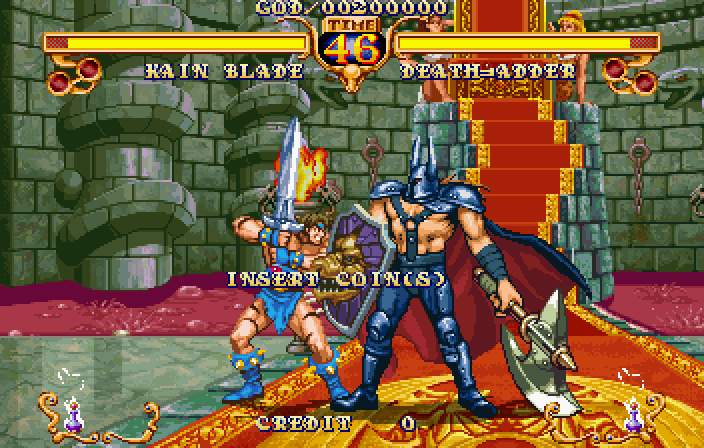 Lost amongst the waves of Street Fighters, Fatal Furys and Primal Rages was an obscure little title from Sega that took its famous sidescrolling beatemup series Golden Axe into the fighter genre. 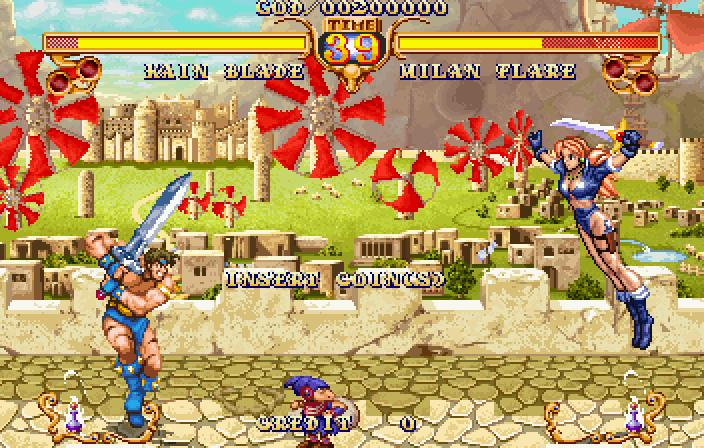 And although the game pretty much bombed, GA The Duel had one the most enjoyable pixel art styles I’ve ever seen from an arcade game. Yes, it’s Sega’s resurrection of SpiderMan the Videogame‘s comic book pixel art, evolved to match the Frank Frazetta painting style of the classic swords and sorcery look that Golden Axe lives in. It took me years to discover that this game existed, and even today I can’t get enough of this comic inking + airbrushed coloring look to the sprites. 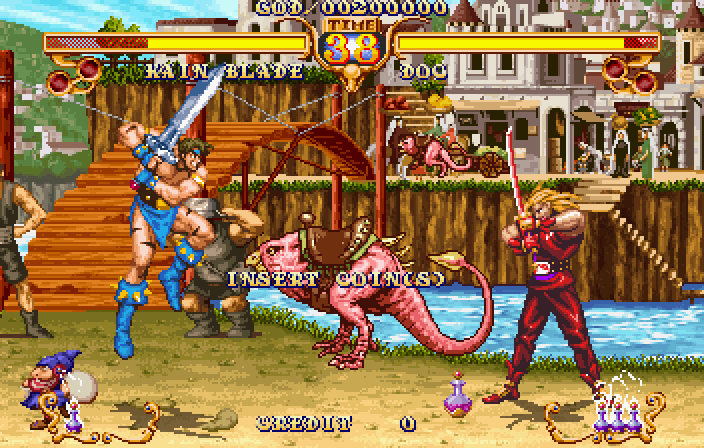 Backgrounds in this game are just as nice, and they pull a Samurai Showdown with zoom ins and zoom outs when fighters get further apart or do critical close-in moves. Sega was apparently still attached to that SpiderMan random zoom out platformer feature, no? 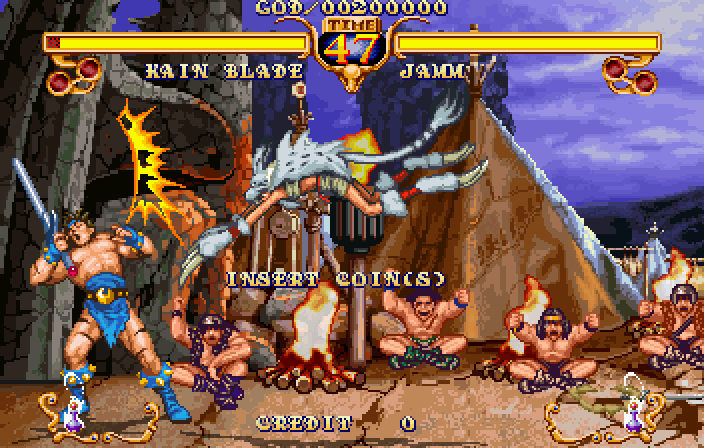 And with the sprites as intricately rendered as they were, those zooms barely had any choppiness effect on them. Brilliant! As is often the sad case though, good looking games like these are usually counterbalanced by bad gameplay. In this instance, absolutely everything else about the game is heartbreakingly bad. 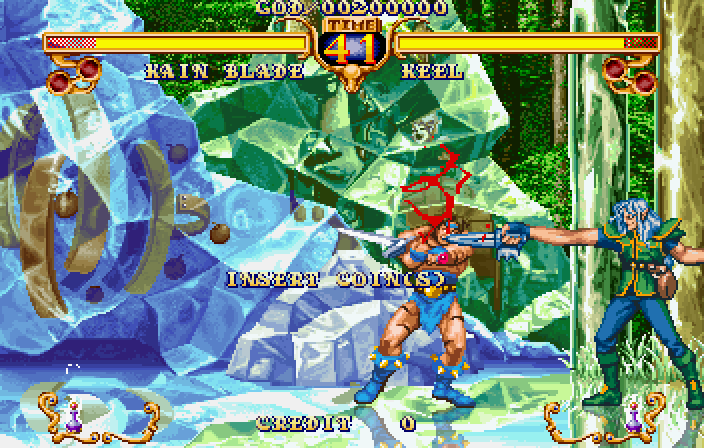 The soundtrack was composed on a SIMON memory game, the controls were programmed by angry monkeys with typewriters and the overall gameplay feels like Sega Babblefished through SNK’s trash dumpster. And I still play this game just to look at it. That’s how much I love this art. 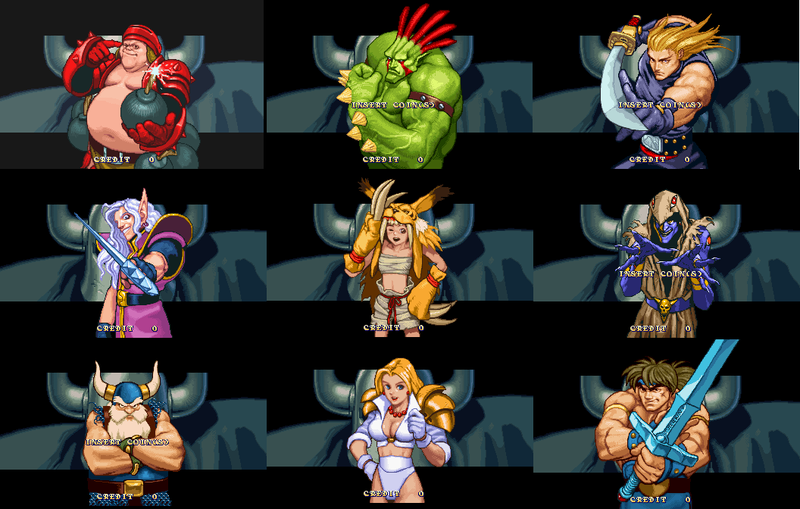 Get some more of this loveliness over at Scrollboss’ Golden Axe sprite rips page.